Product manager Jim C.Y. Chu (far right), shows Marquette students a few of the features on one of their LCD monitors. 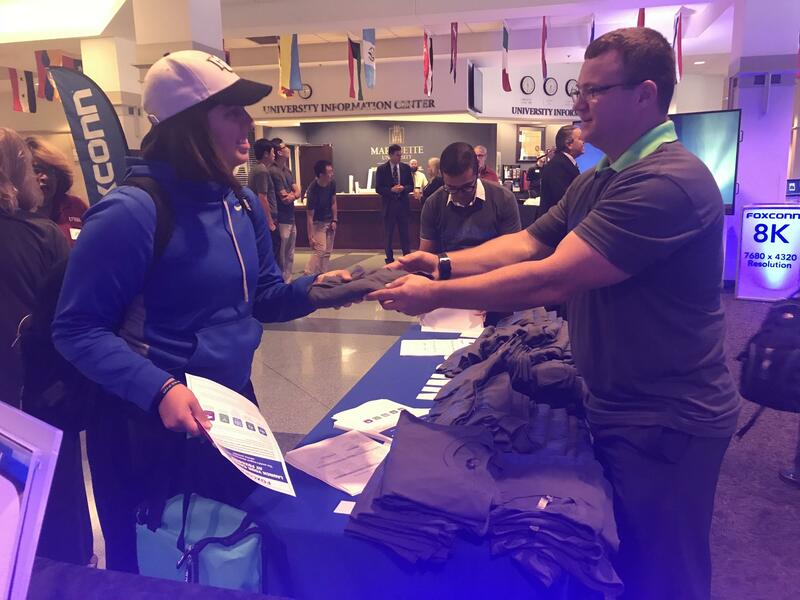 Students received a free T-shirt after visiting the Human Resources table. "As they get closer to graduation, they’re looking for jobs. 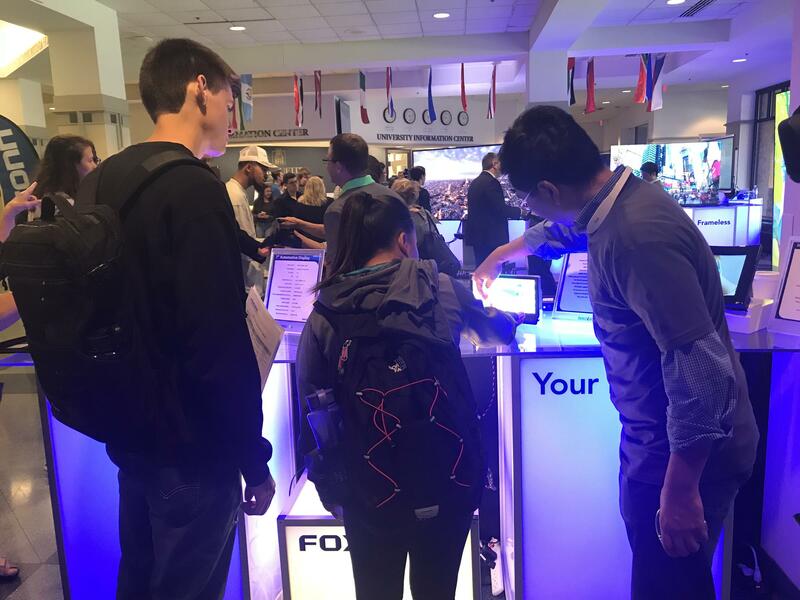 There may be some wonderful opportunities for our students to work for Foxconn so we’re looking to push that as much as we can," Jenkins says. 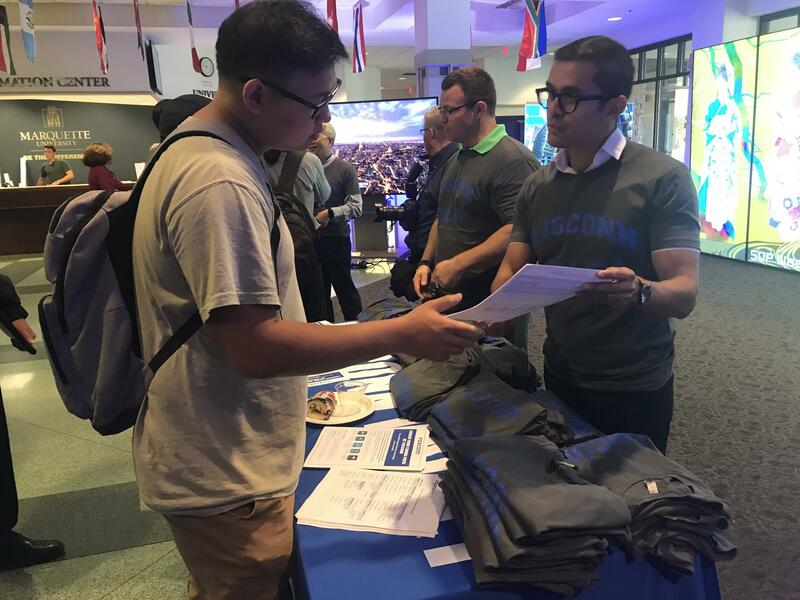 Members of the Foxconn HR department were accepting resumes, advertising the available positions and handing out free T-shirts. 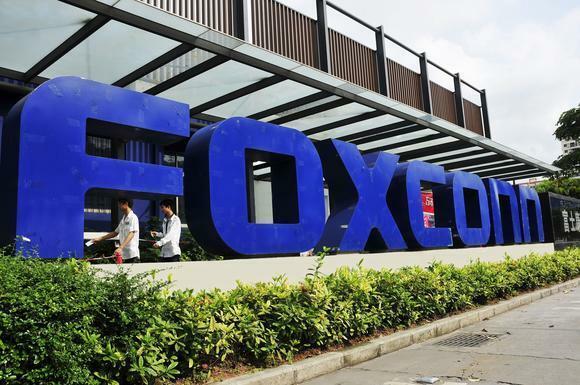 According to Deb Milimaka Miles, the VP of HR, Foxconn’s recruiting event gave those who attended the chance to be a part of the company at its earliest stages of development. “We’re really excited to enter the market and really you know look to hire local talent in the market as well," Milimaka Miles says. Brandon Yoon (left) talks to an HR rep about Foxconn job openings. The event also brought out Marquette alumni interested in the tech industry. Garret Klompenhouwer graduated in May of last year. He says he’s looking for an engineering or product development role with the company. “I use a lot of their equipment -- iPhone, iPad, PlayStation 3. I just thought you know kind of the stuff that they build is interesting and I would like to work for that company." The company hopes to hire between 150 and 200 people over the course of the next six months. When the Foxconn plant opens, the company says it will initially employ 3,000 people, and eventually could create up to 13,000 jobs.